Backyard poultry keepers must keep their flock safe from infectious diseases. This is a top priority for a homesteader or anyone involved in raising chickens, turkeys, ducks or any of the fowl used for their eggs or meat. Diseases like Avian Influenza can devastate a flock, according to Dr. Carolyn Hurwitz, assistant state veterinarian with the Maine Department of Agriculture, Conservation and Forestry. Which is why, she said, anyone who raises poultry needs to practice good biosecurity measures. Poultry biosecurity is the practice of preventing the spread of diseases on a farm, or the transfer of disease from one farm to another. It is also making sure a facility is maintained in a manner that does not allow dangerous biological organisms, like viruses, bacteria or rodents, to come in contact with the birds. This week the United States Department of Agriculture’s Animal and Plant Health Inspection Services — or APHIS — is launching a national program promoting biosecurity and aimed at everyone from the individual backyard bird lover raising a few pet chickens to larger commercial egg and meat producers. In the APHIS Defend the Flock Progarm, the USDA provides information and resources that will help backyard poultry keepers make sure they are doing everything possible to keep birds healthy and reduce the risk of spreading infectious diseases. The two primary biosecurity measures people should keep in mind are limiting human visitors to the coop and excluding wildlife. Poultry also need a coop and yard safe from wildlife, including wild birds which can carry the Avian Flu virus. Animals like rodents and other vermin can bring their own set of problems including Leptospirosis, rabies and salmonella. It’s also smart to make sure feed, hay or straw are all stored in places that are clean and free of moisture. In the case of poultry biosecurity, an ounce of prevention is worth a pound of cure. Starting off with chicks that come from hatcheries that are certified disease free by the National Poultry Improvement Plan is a great way to start off with clean, healthy birds. 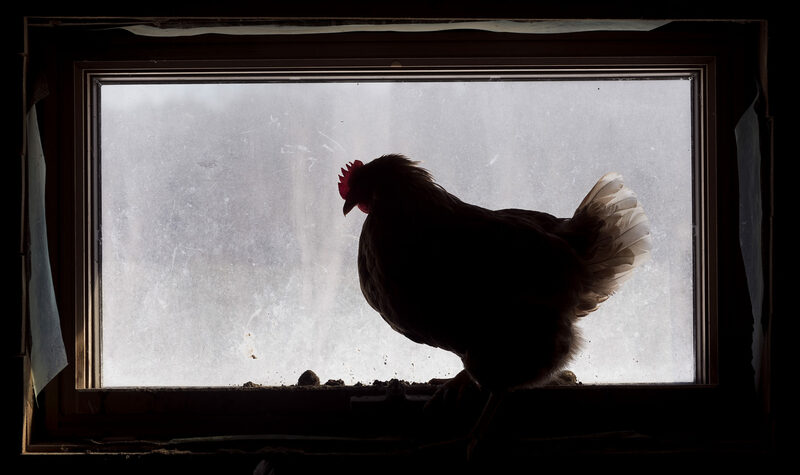 In the event that backyard poultry keepers do notice something amiss with their flock’s health, Hurwitz said they should immediately contact her office or the nearest office of the University of Maine Extension Service to report it. Officials can then assess the situation and if it is one of the regulatory diseases they track, document it and then recommend a veterinarian to help get the birds back on track. When does Defend Your Flock start? The USDA APHIS program kicks off Wednesday with the free webinar “Let’s Keep Our Poustry Healthy Together: Defend Your Flock with Biosecurity Resources” at 2:30 p.m.
Veterinarians with APHIS and the US Centers for Disease Control will lead the webinar. According to the USDA, Defend the Flock ongoing resources pull from the knowledge and experience of veterinarians, professional poultry growers, scientists and other experts in biosecurity. Available 24/7 on the USDA’s Defend the Flock website, and on its Facebook page, these resources include checklists for checklists for cleaning and disinfection poultry enclosures, checklists for cleaning equipment, biosecurity fact sheets and guides, how-to videos, information on properly handling live poultry and tips on preventing the transfer of diseases from wildlife to domestic animals. Julia Bayly, staff writer for Hello Homestead, has worked in print journalism for more than three decades covering the unique characters and life of northern Maine. When not wrangling critters on her Rusty Metal Farm, Julia travels the world seeking adventure and great food wherever she can find it. She loves dogs and chickens, tolerates cats, is unsure of ducks and does not trust goats.